Woman carrying firewood. 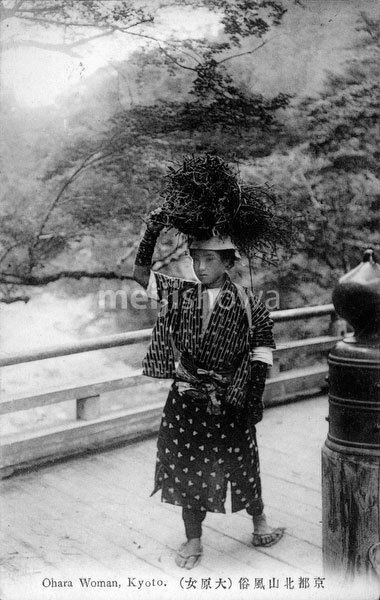 Women from Ohara in Kyoto Prefecture, known as Oharame (大原女), walked to Kyoto city to sell firewood, flowers, and agricultural products, usually carried on their head. The clothing they wore was specific to their area.